Welcome to this exciting little corner of internet where I hope to infect you with my passion for corsets. Yes, corsetmaking does look intimidating but think about all the corsets your won’t make if you don’t start making them! Let’s be honest here, corsets are too interesting and mesmerizing to avoid them, especially when you have the FREE resources to help you out on your creative journey. AraneaBlack corset patterns are completely FREE! Them being digital makes them extra handy because they don’t take up loads of storage room and you never have to worry about damaging your original copy. It’s especially good to know that I made all corset patterns in a wide range of sizes and they include all of the circumference and length marked on them clearly and precisely. That makes them perfect for doing easy adjustments for a more comfortable fit. I hope you are at-least a little bit excited about corsets. Be brave, try your hand at corsetmaking! Enjoy your stay and happy crafting! 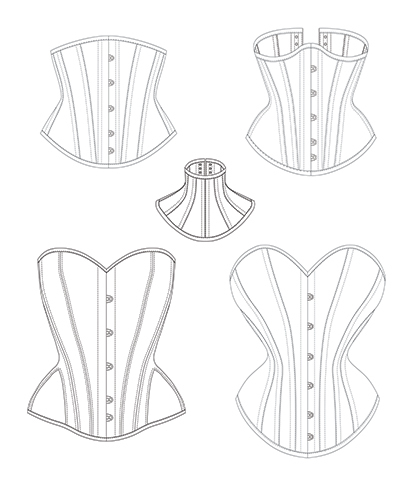 Don’t forget that you can contact me if you need help, or if you would like to share some ideas and suggestions for future free corset patterns. Follow me on my social media for more details and a look behind the scenes on current and future projects!